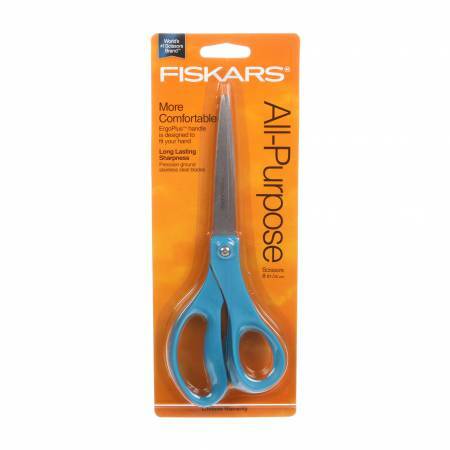 Sharp and comfortable all-purpose scissors in a fashion color. Durable, hardened stainless steel blades. Contoured handles designed to fit your hand.